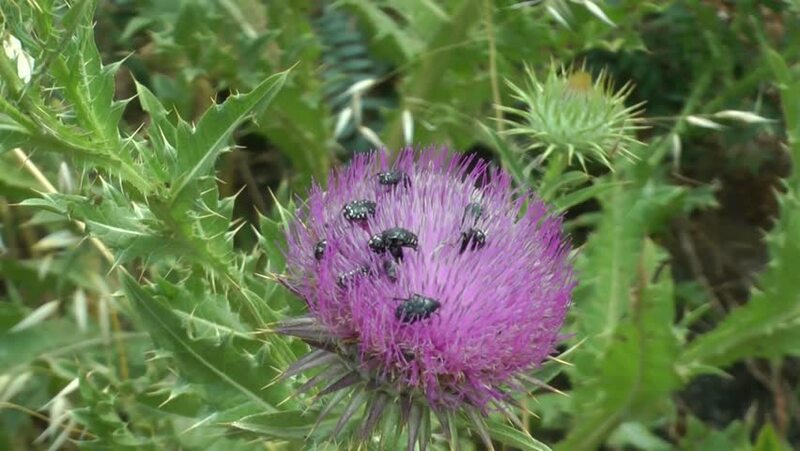 A group of insects on a thistle 1. 4k00:08The bee collects the nectar from the thistle flowers. Comes up alternately to different flowers. hd00:20Green Bush on the Meadow during sunny day. Full HD resolution. 200MB/s.